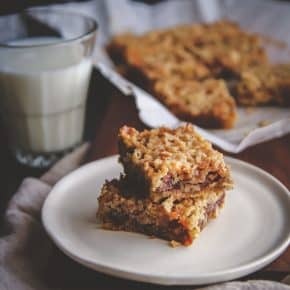 With the holidays just around the corner, these healthy pecan pie bars are a recipe that’s sure to surprise and delight any guests that stop by for a visit. 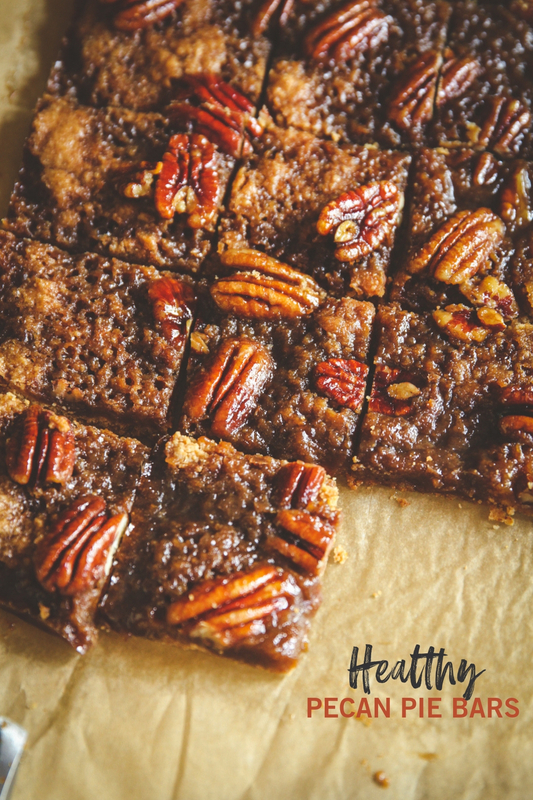 These healthy pecan pie bars are buttery, caramelly and super tasty! 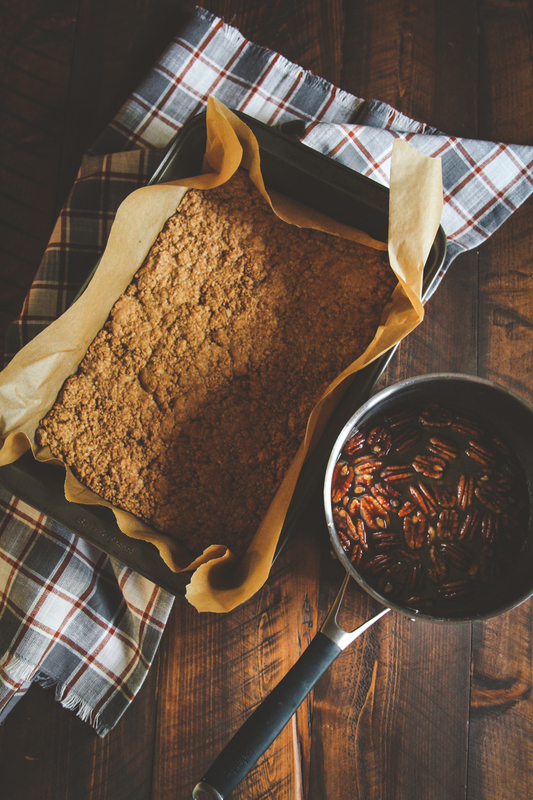 I love when I’m baking or cooking and the house just smells like the holidays – it always puts a smile on my face. It just isn’t the holidays without pecan pie, is it? It’s one of my favorite desserts at Thanksgiving. But, there’s no nice way to say this…it’s a little heavy and calorie laden. 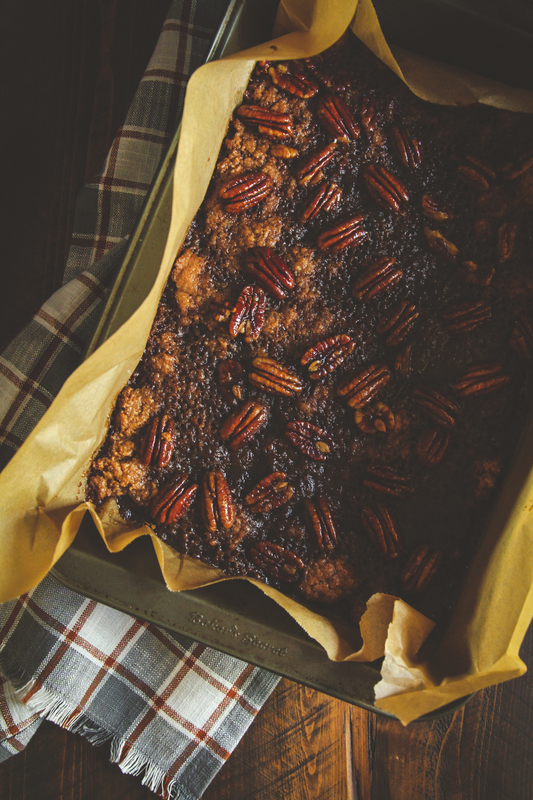 Then I was flipping through the pages of the cookbook Cooking that Counts (1200-1500 calorie meal plans from the editors of Cooking Light) and spotted this beautiful recipe for maple pecan bars, clocking in at 149 calories. I’ve made many many recipes from the cookbook, and they all come out great. 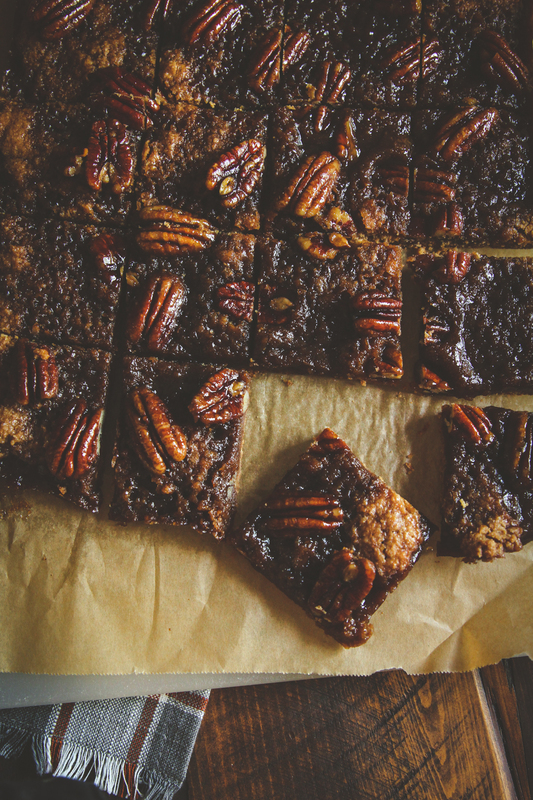 These healthy pecan pie bars were no exception. They’re chewy and taste just like a pecan pie! I made these bars for a housewarming party and they all got eaten, no one even knew they were on the healthier side! 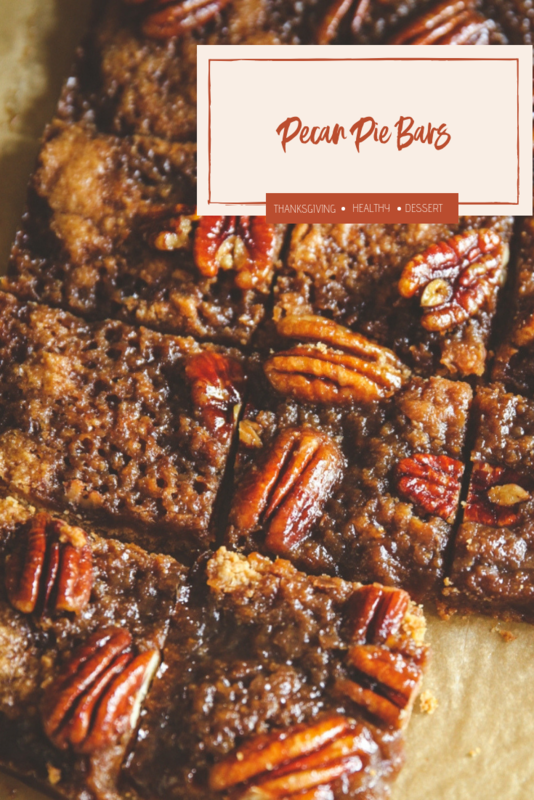 These healthy pecan pie bars are a wonderful addition to any holiday party and offer a healthy alternative for a holiday treat! Line a 9 inch square metal baking pan with parchment paper. 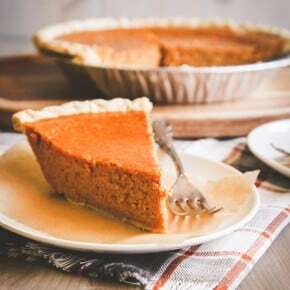 To make the crust: in a food processor combine flour, cornstarch, brown sugar, butter, baking powder, vanilla extract and salt, pulse until mixture resembles a fine meal. Press the flour mixture into the bottom of the prepared pan. Bake at 375 for 15 minutes or until the edges of the crust are slightly browned. 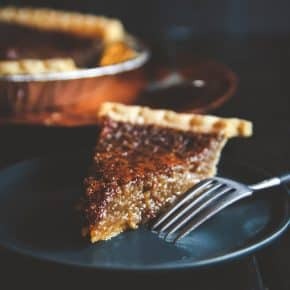 While the crust makes, make the filling: Combine the syrup and the next 3 ingredients (through 1 tablespoon butter) in a medium saucepan; bring to a boil over medium heat. ook 2 minutes, stirring constantly with a whisk until the sugar dissolves. Remove from the heat; add the pecans and 1/2 teaspoon vanilla, stirring with a whisk. Pour the mixture into the hot crust. Bake at 375 for 10 minutes or until the filling is bubbling. Cool completely in the pan. Cut into 20 bars. I made these in a 9 x 13 dish for more bars, they'll be thinner. Looks great. Too bad very few cafes have those kinds of desserts. These look delicious! 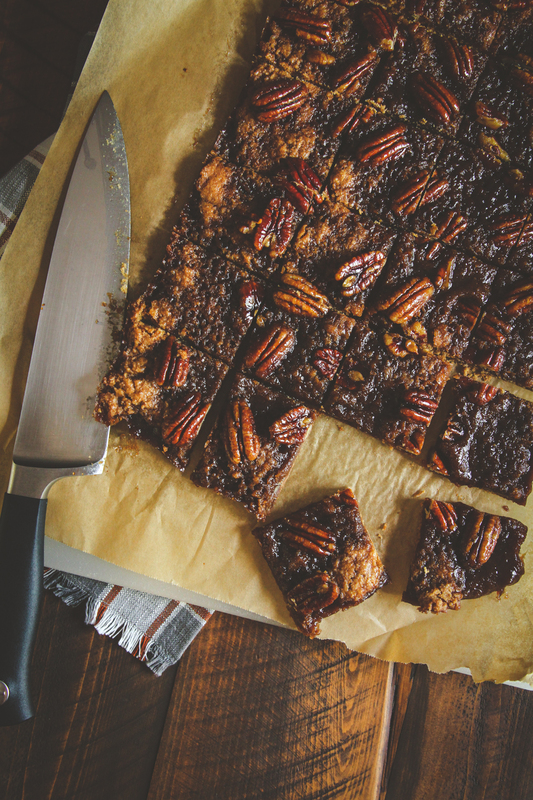 Can you say more about what makes them healthier than regular pecan bars? So glad that these bars can be made into gluten free bars. Thank you. 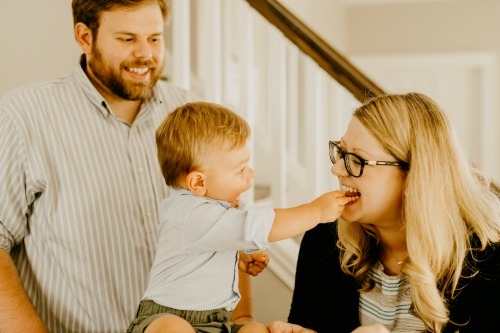 You’re so welcome, hope you love them as much as we do!